Get stylish in a pinch with this jade green tunic with cold shoulders. Features gold lace trims, all over foil and cold shoulder design. 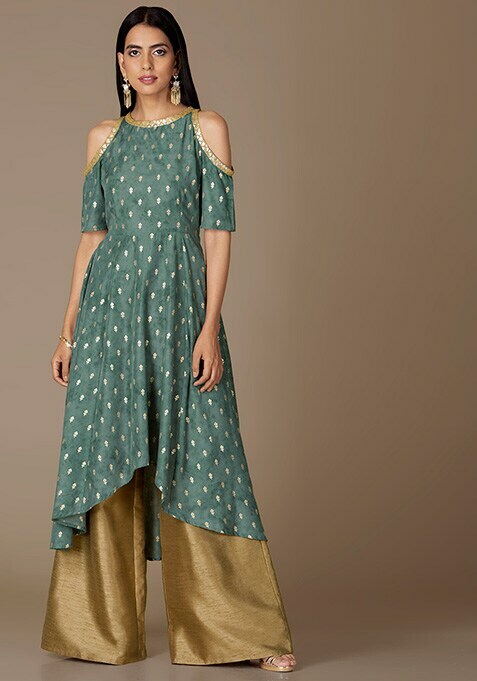 Work It: Keep it stylish by pairing this kurti with gold palazzos pants and chandelier style earrings.